All businesses aspiring to success need to advertise their products and services in some way. That need applies as much to multi-nationals as it does to one-man bands, to age-old businesses as much as to start-ups. In short, any business needs to let people know of its existence and what makes it great. And you can exaggerate, can’t you? You can use catchphrases that make you seem even more special than you are. When in 1973 Carlsberg told you it’s probably the best beer in the world, did you take that at face value? Anything goes, right? Advertising is advertising: a no-holds-barred fight to gain attention and attract people to your product. Wrong. As a general rule, it is unlawful to make misleading comments in order to attract people to your product. In June, the Advertising Standards Agency (ASA), who is the UK’s regulatory body with legal authority to take action in relation to unlawful advertising, banned an advert by Nurofen. The advert suggested to the ASA that its painkiller had a special mechanism that enabled it to seek out and target back pain. The ASA found that to be incorrect: the drug simply travelled round the body in the bloodstream to wherever pain might be, not specifically back pain. 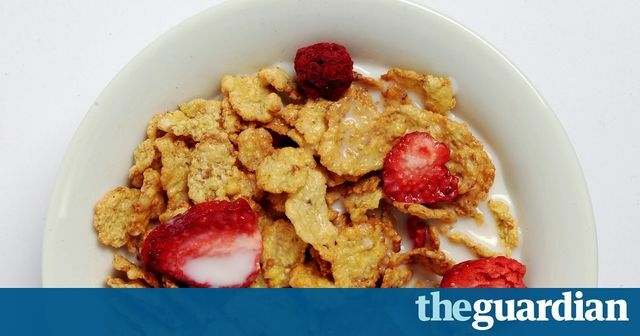 The linked article, relating to the ASA banning two adverts for Kellogg’s Special K, demonstrates another of these rules, this one specifically relating to health claims in product advertising. A claim on Kellogg’s’ website that, "All Special K flakes are made with our unique Nutri K™ recipe making a nutritious and delicious start to your day". The ASA distinguishes between general health claims and specific authorised health claims; in the context of these adverts, those concepts are explained more below. The ASA agreed that the first advert contained both a general nutritional claim – that the porridge is full of goodness – and a specific health claim – the claim about vitamin B2 benefitting the skin. However, the onscreen text relating to the specific health claim had disappeared from the TV advert by the time the general health claim was made. For that reason, the ASA did not agree that the general claim was accompanied by a specific authorised health claim and it concluded that the advert was unlawful. The ASA criticised Kellogg’s for not having both claims on screen at the same time or a voiceover that links them more immediately. When it came to the second advert, Kellogg’s disputed that the claim made in the advert was a general health claim. They argued that referring to the flakes as ‘nutritious’ did not suggest a health benefit. In addition, they argued that their website included a large amount of information regarding the health benefits of the cereal. They considered that most consumers would interpret the claim as a general health claim. And as for the rest of the information on the website, the reader had to click through a further two pages to find it, meaning that many consumers would not come across it at all. Kellogg has been ordered not to show the adverts again in their current form. However, it is possible for Kellogg to alter the adverts so that they do meet legal requirements: in the first advert, provided that the voiceover is modified, this should suffice; in the second, a few of the specific health claims should be moved to the place on Kellogg’s web-site where the general claim is made. Whatever your product, and whatever your mode of advertising, be it television, internet or just leaflets, it pays to consider advertising rules and standards. This article has addressed two examples illustrating that not everything is allowed in advertising. For further information, you may wish to look at the Advertising Codes, which are available here. There are two codes – for non-broadcast adverts, such as newspapers adverts, leaflets and internet; and for broadcast adverts, such as television and radio. Both codes are split up into clear, useful divisions. So it is easy, for example, to find out that if you are advertising alcohol, you should not condone or encourage irresponsible drinking or aim the advert at people under 18. And in general, as long as you support general claims made about your products or services, you should be able to advertise them just fine.